International research involving Bath health scientists shows extended periods of time in orbit does not negatively impact the body’s ability to fight off infections. 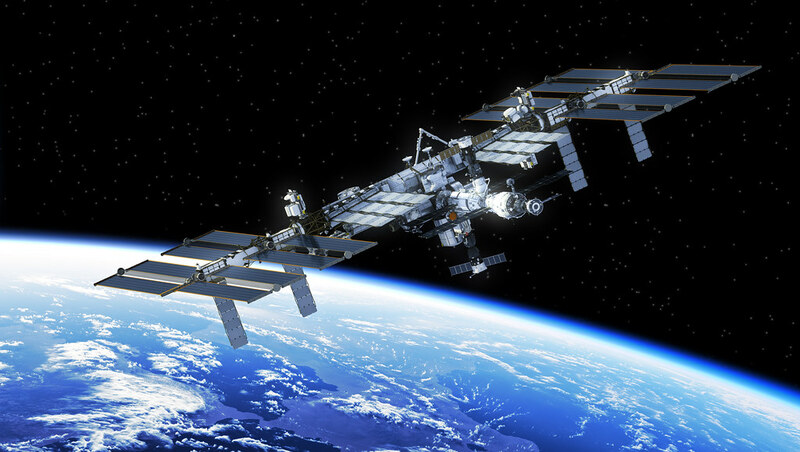 With a new crew arriving at the International Space Station (ISS) this week, astronauts will be relieved to know that they won't have to worry about a major aspect of their immune system being compromised. While researchers know much about astronauts' skeletal and muscular health during spaceflight and when they return to Earth, much less had been known about how spaceflight affects immunity. It was generally thought that spaceflight had a detrimental impact on all aspects of the immune system. But a new study, published in the Journal of Applied Physiology involving Dr John Campbell from the University's Department for Health, suggests a major part of the immune system is not compromised in any significant way. The research, which involved testing bloods for astronauts before, during and after a six-month mission on the International Space Station, focused on so called ‘B-cell immunity’ – the white blood cells produced to fight off infections. B-cells are an essential type of white blood cells responsible for producing antibodies that will target harmful pathogens. Optimal B-cell immunity is crucial to ensure long-term protection against disease-causing bacteria and viruses and is the cornerstone of vaccine efficacy. Until now, due to spaceflight's logistical constraints, the majority of space immunology has been conducted during short-duration missions or by comparing pre- to post-flight measures of immune function. Incredibly, for this study, bloods from ISS astronauts were sent down to Earth from the ISS by Russian Soyuz descent capsules during the mission for analysis. These findings may support the use of in-flight vaccine-based countermeasures to protect astronauts from immune dysregulation and symptomatic latent viral reactivations that are known to occur in longer duration missions, such as eventual travel to Mars. Dr John Campbell explained: “This is the first study to comprehensively show that long-duration spaceflight in human astronauts has limited effect on B-cell frequency and antibody production. Lead author from Louisiana State University (LSU) in the US, Dr Guillaume Spielmann added: "Long-duration orbital spaceflights are associated with increased levels of psychological stress, acute and chronic exposure to space radiation and microgravity-induced changes, all of which are known to detrimentally impact the immune system. However, the effects of spaceflight on B-cell immunity - a major arm of the immune system – have to date remained unclear." On Monday University of Bath alumna, Lt Col Anne McClain, blasted off to the International Space Station. Learn more about her Bath connection and the trip.